Nepali experts spoke to AsiaNews about the real reasons behind India’s trade embargo. Delhi backs a Hindu monarchy, wants to dominate the country’s politics, and control its water resources, the latter to benefit its own agriculture. It is also interested in its trade routes like the Lipulekh Pass. Neither the new prime minister nor the new secular constitution are to India’s liking. To hide its intentions, it claims it wants to defend Nepal’s minorities. Kathmandu (AsiaNews) – India’s de facto trade embargo against Nepal stems from its regional ambitions rather than a desire to protect Nepal’s Tharu and Madhesi minorities in the Terai, this according to some experts of Nepali politics and society who spoke to AsiaNews. India is dissatisfied with Nepal because its current rulers failed to restore the country’s ousted Hindu monarchy, and adopted instead a secular constitution. At the same time, Delhi is driven by a desire to exert its hegemony over Nepal’s political life as well as its water resources and trading routes with China. Since the new constitution came into effect, Indian Prime Minister Narendra Modi has blocked food and fuel exports to Nepal, with serious consequences for the Nepali population. As shortages worsened, the country is sliding closer towards civil war. "The current embargo is rooted in India’s hegemonic interests,” former Foreign Minister Prakash Chandra Lohani told AsiaNews. “Historically, India held Nepal under its thumb and dominated our politics. When a leader came out against India, his career was over. It is even said that the king was dethroned because he was turning to China, rather than remain within India’s sphere of influence." "In the past, politicians sought New Delhi’s support to solve problems. Now Prachanda (Maoist), KP Sharma Oli (Communist), who was elected the new prime minister last week, and Shushil Koirala, (Nepali Congress), the outgoing prime minister, agreed to the most secular constitution possible." In the past, appointments to Nepal’s highest political offices needed Indian consent, Lohani explained. Now, the newly elected Oli has no friends “in Delhi, and even less than Maoist Prachanda. India is concerned that it might lose its ascendancy over the [Nepali] government, which might prefer to channel exports through the Chinese border." “Since he was elected, Modi has signed nine water agreements and wants to build two massive dams on Nepal’s the Koshi and Karnali rivers”. Both rivers run through the province the Madhesi and Tahru claim for their autonomous region. Tribals would give India control the water, which is why India is supporting the protests of the two minorities." For activist Phadindra Nepal, "the embargo is also motivated by the recent trade agreement on the passage of goods between China and India through the Lipulekh Pass." The Himalayan pass links the ancient city of Taklakot (Purang in Tibetan) in Tibet to the Indian state of Uttarakhand through the Byash Valley in northwestern Nepal. 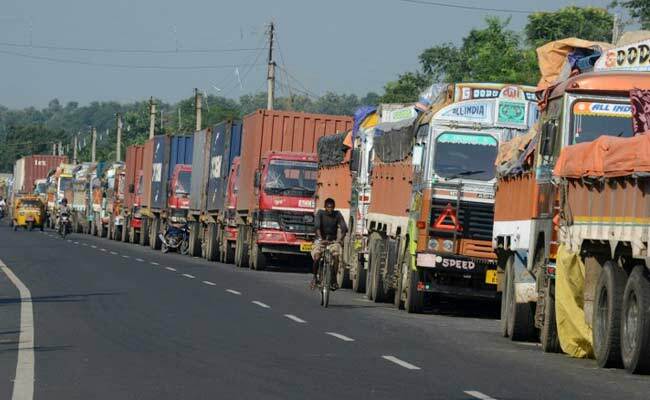 Beijing and Delhi decided to develop this trading route through Nepali territory without consulting Nepali authorities. "When Koirala’s government opposed the agreement, reiterating Nepal’s sovereignty over this territory, India was not happy." "India is encroaching on several border areas that are important from the strategic point of view,” Maoist leader Agni Sapkota said. “We shall not tolerate this attitude."